Samurai were the social group which developed at the turn of the seventh and eighth centuries AD, probably during the Yamato period. The changes in the Japanese political system at that time may constitute their genesis. In 702, the Taihō Code was created and it stated that the emperor's power covers the whole country, so the lands which had been possessed by particular clans before, were given to him. Then, the feudal structures (shōen) with the governors at the helm started to emerge. As the time went by, the influence of the emperor's power was weakening. It was the time when warrior troops submitted to the owner appeared and they were supposed to defend his properties in case of any danger. Samurai first arose in the Eastern North part of Japan, especially on the Kantō lowland, as numerous bloody mutinies and rebellions took place there. In 1871, after the Meiji Restoration, all the samurai titles were cancelled. Ignoring numerous protests, the judicial liquidation of the samurai class was applied. The samurai were distinguished by their haircuts for instance, as they shaved the front part of their hair (above the forehead) and pinned up the rest of it at the top of their heads. Their attire included hakama trousers, kamishimo waistcoat with a kamon emblem representing a given clan or family and also accessories, such as a luck amulet worn at the neck. 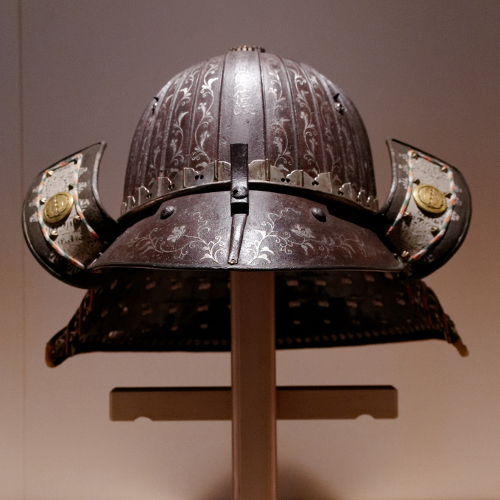 The samurai armor was called Ō-yoroi and it consisted of numerous segments, made mainly of metal and endowed with lacquered leather coverings. They were joined together with thick silk straps and also leather. Those straps were given bright colours in order to additionally decorate the armor. The most significant laws were defined by the bushidō code, as it taught the basic rules of a warrior. The samurai rules were included also in other masterpieces, such as The Book of Five Rings or Hagakure: The Book of the Samurai. It was particularly crucial to serve the master faithfully and to be subordinated to him entirely. Both during a battle or while committing suicide (seppuku), a samurai was not allowed to fear death. Capitulation in the fight also was forbidden, as it was considered to be a highly dishonorable solution. The samurai education was focused on the best knowledge of bushidō. They were taught to write, read and create calligraphy. They were also educated in the field of music, rhetoric, literature, law, mathematics and medicine. What is more, the samurai were obliged to know the traditional tea ceremony, as well as the Japanese and Chinese poetry. Katana is a Japanese samurai sword. Its curved, single-edged blade measured over 60 cm and the foible was truncated or rounded. The first samurai swords emerged in Japan between 710 and 794 AD, in the so-called Nara period. They were called kara-tachi at that time, what stood for Chinese swords. At the very beginning, they were not so amazingly decorated and did not have a plaque guard. In the Muromachi period, the uchi-gatana ("a striking sword") appeared and this one already resembled the katana sword remarkably. At the end of this era, the samurai began to consider it to be their favourite weapon. At that time many variants of this sword were created, but they only slightly differed from each other. The sword production was not systematized until the Edo period (1603-1868). It was the time when the legal rules of carrying and using the weapon were stated. Moreover, daishō emerged, which was the specified set of swords. Katana became a specialization of some armorer families. It was then when the main traditional names started to be used. The tachi and katana swords differ to a great extent in the way of being carried. Tachi was attached to ashi, which were two straps, with the sharp side of a blade placed downwards. It was used together with an armor most commonly. Katana was fastened to a regular attire, without any straps, but only fixed behind the belt (kaku-obi) with the sharp blade placed upwards. 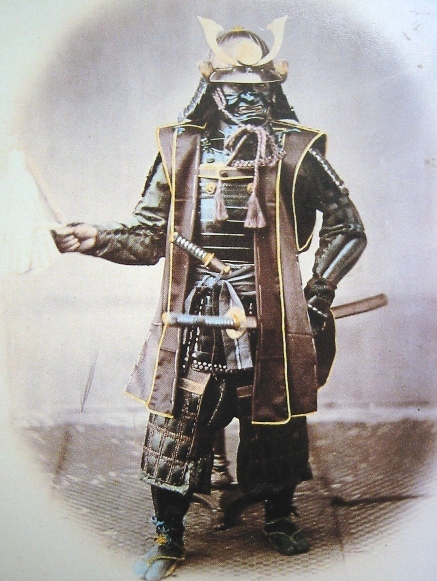 The outfit (koshirae) was to a great extent formed accordingly to the way how the particular samurai sword was carried. The same concerned the sheath (saya), which was endowed with additional rings when it was made for tachi. The shape of the blade also depended on the method of carrying the sword, as in the case of tachi it was more curved. When the Haitōrei edict entered into force in 1876, all the Japanese citizens (apart from the police and army) were prohibited to own a weapon. The skills of using a sword were vanishing and took only the forms of fencing as a kind of sport (kendō) or meditation (iaidō). Up to 1933, not a single new traditional katana sword was created. However, at the time of World War II, the Japanese officers fought with the guntō swords, which remarkably resembled katana from the Edo period. Wealthy peasants often owned wakizashi, because unlike katana sword, they were legally allowed to have it. Both weapons included the daishō set, which could be carried only by the samurai. A sword constituted the crucial element of the samurai culture, as it was said to be the embodiment of the warrior's soul. There were numerous rituals associated with it, sometimes very complex, and they appeared as early as in the process of its production. Before starting his work, an armorer was obliged to undergo the purification ceremony and while creating a samurai sword, in some moments he had to wear the festive attire. The smithy was decorated with motifs originating from the shintō religion and served as protection against evil forces. The rituals were associated even with clay, fire and water, used for hardening the sword. In order to prevent the blade of a samurai sword from chipping, the armorer had to forge the hardest cutting edges possible. At the same time, they had to be very flexible, because otherwise the weapon could crack. It was an incredibly difficult task to make it, performed with repeatable re-forging iron, tempering the metal and other methods, which were created over the centuries and carefully guarded. Dealing with a sword was subject to many rules. One of them stated that if a samurai pulled out this weapon from a sheath, he had to immerse it in the human blood. For this reason, if a noble person, that should not be refused, asked for presenting the sword, a samurai had to cut himself before hiding it back. A samurai sword had to be conserved regularly by rubbing the blade with an ointment made of the Japanese mint. 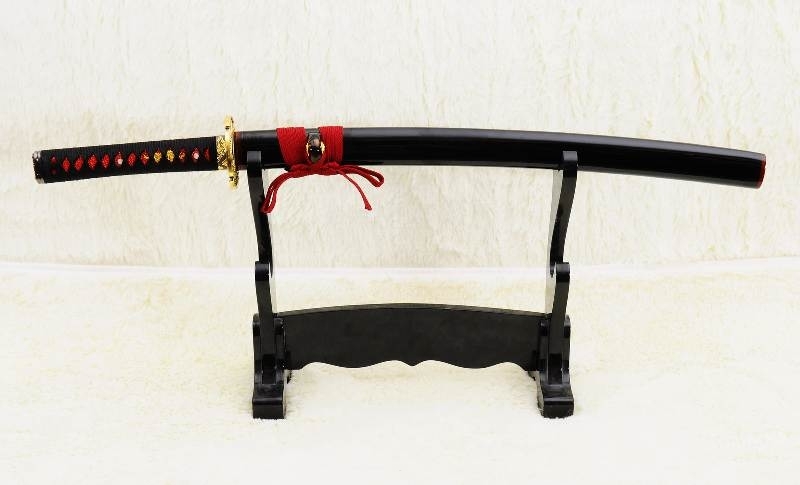 If you are looking for the highest-quality replica of samurai sword, our shop is the best place to order it. We offer only the most carefully made copies, precisely following the originals. They will allow you to feel the real atmosphere of the Japanese past.